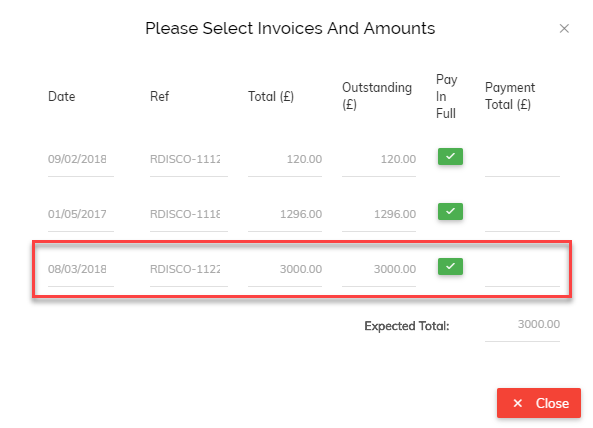 In Pandle, an invoice status does not change to 'Paid' until you have processed the invoice payment through your banking. This means it's a good idea to keep your banking right up to date to ensure that your receivables/payables reports are correct and payment reminders are only being sent to customers who have not yet paid. 3. Simply click 'Pay In Full' (if the amount is the same or more than the invoice amount) or enter the amount under 'Payment Total' if it's a part payment of the invoice. 4. Once saved, you will notice that the invoice is now marked as paid, it is no longer outstanding and the customer's balance owed to you is reduced by the amount processed. The exact same principle applies when suppliers issue invoices to you (for which you pay later). You enter the supplier invoice and then select transaction type 'Supplier Payment' when completing your banking. You may also be interested to read our Enter Transactions support article.